Decked out in a gorgeous blush tone, hiding in a suburban street, you will find this cute little cafe. This place is a little hidden treasure! Locals love it, as it is quite busy most days, especially on weekends. Totally kid friendly with colouring sheets, a few toys, high chairs and a kids menu (however, no change table spotted). It may be a little squishy inside for prams, but there are a few outdoor tables that would work. There’s a small, but delicious menu, as well as a decadent homemade cake cabinet. 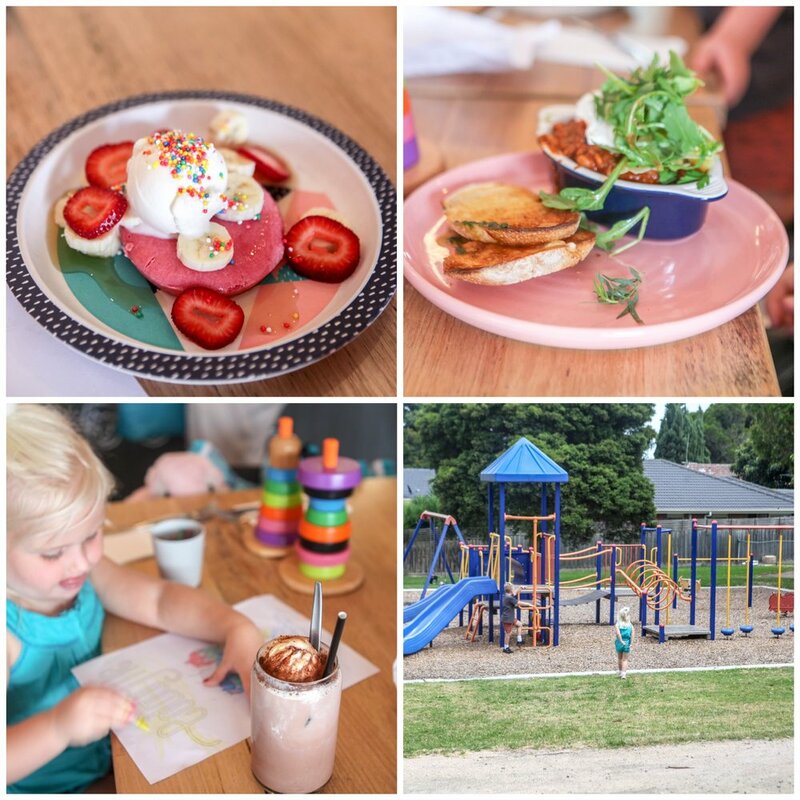 Grab a takeaway coffee and head next door to let the kids play in the little reserve. Ready for a bigger play? Head around the corner to the amazing Ballam Park.